Love the black and white, it's so strong, beautiful card! A very classy looking card. I love it. Stunning, dynamic and i love it. 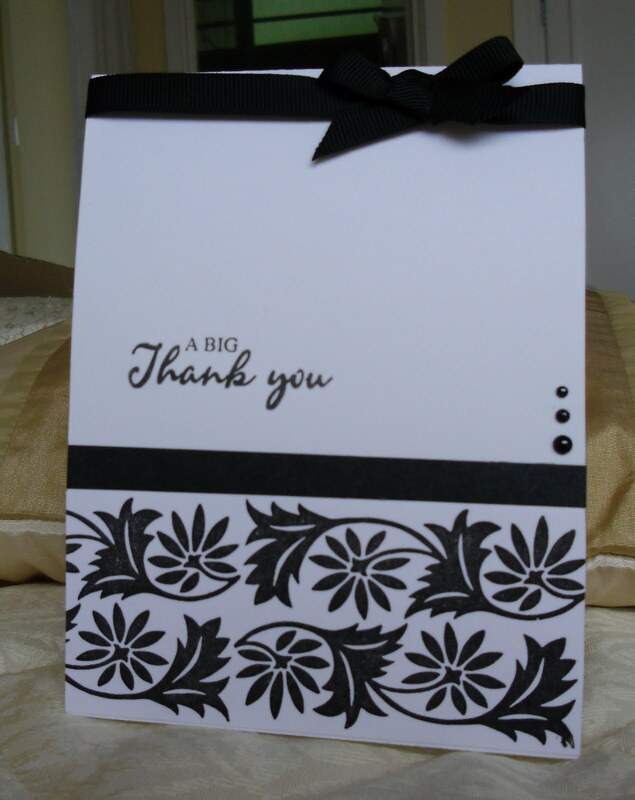 Stunning card Sylvie, black and white is always so elegant. oh this is so elegant and gorgeous! Love this very elegant card Sylvie. This is lovely Sylvie... as always! The black and white is very dramatic! Really elegant nonochrome! Gorgeous card. Really gorgeous Sylvie, love the black and White. Sylvie...what a beautiful and elegant card! A beautiful and dramatic card Sylvie! Beautiful, love the elegant scroll border. Fabulous card. I love black and white together, so classy. Gorgeous card, very stylish, love it! Beautiful, classy card. I love it.